Includes all Stores that are available in our database. No upper limit. No "per store" pricing. Includes all Coupons & Deeplinks from popular Affiliate Networks. New networks added on demand. API response in JSON/CSV/XML formats. Or simply use our Automatic WordPress Plugin. Full control of which Stores to included. Map Store & Category names as per your website. Less load on your server. Returns new, modified & deleted Coupons since your last API call. Automatically update your website every hour by installing Coupon API's WordPress Plugin. What is Coupon API? What are the advantages? CouponAPI.org is a single API (or WordPress Plugin) to pull Coupons & Deals from multiple Affiliate Networks/Programs. To understand the advantages of using CouponAPI, just imagine what you will have to do if you don't use our service. You will have to do integrations with 100s of affiliate networks, all of which have different API formats. Plus, you would also need to add newer networks every now and then, leading to infinite development time & costs. To make it worse, each affiliate network uses different Store/Campaign IDs. So you would also have to map all these to the stores on your website in 100s of affiliate networks. CouponAPI on the other hand, becomes your single API source for coupons & deals on all affiliate networks. If you use a standard WordPress Coupon Theme, you don't need to do any development work. Or even if you have a custom website, you have to the integration only once. Plus, you can map your store & category names in our panel, thereby standardizing content as per your website. Do you guarantee any accuracy? No. We have absolutely no control over the data. We simply collect the coupons from affilaite networks/programs and give it to you. If you need verified offers from all sources like Store Banners, Email Newsletters, App/SMS Notifications, Social Media pages, etc., then we suggest you use a proper Coupon Feed Service like LinkMyDeals or FMTC. Yes. The first 3 days of your subscription are trial days. You can cancel your subscription anytime during your free trial, and you won't be charged anything. Your billing cycle will start immediately after your free trial. Do you take any part of our revenues? No. We add YOUR Affiliate IDs to all coupons in your feed. So complete Affiliate Commission goes to you, and only you. Which WordPress Coupon Themes are supported by your Plugin? 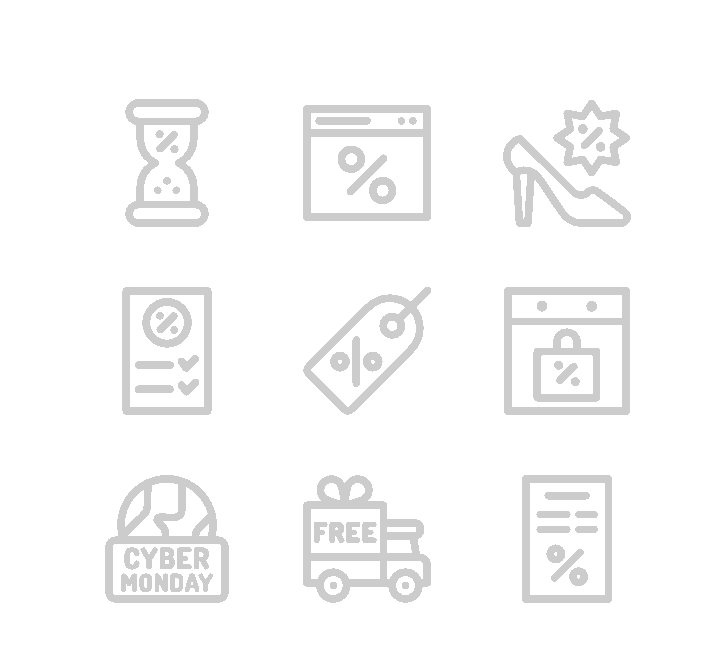 Any new Coupon Themes which are not on the list, may be added based on demand. Who will pay me the Affiliate Commissions? Your affiliate commissions will be directly paid by affiliate networks or merchant’s affiliate program. We are only collecting the Coupons & Deals from them and giving to you using a single & simpler API. Will I get all Coupons & Deals from all Affiliate Networks? Primarily we use our own API keys to fetch maximum coupons & deals. However if we cannot import certain offers from the networks for any reason (such as a program not being approved for our affiliate account), you can enter your network API details & we can import the missing offers. Do I need to register on store affiliate program / affiliate networks for using this service? Yes. Because you will get feeds only for those programs/networks where you have an account. So you need to have an account with at least one affiliate network/program to start off. What fields are included in your coupon feeds? Offer Id – Unique ID for each offer which doesn’t repeat ever. Title – The primary line which describes the offer. Description – The secondary line which describes the offer. Code - The text code to apply the offer. Featured – Yes / No; applicable only in select affiliate network data. Source – The entity from which the offer is taken. URL – Naked offer URL i.e. without affiliate deeplinking. Applicable only in select affiliate network data. Affiliate Link – Monetizable affiliate link with your own affiliate ID. Image URL – Offer image (only if provided by source entity). Store – Name of ecommerce store / merchant. Customisable as per your needs. Categories – Offer category. Customisable as per your needs. Start Date – yyyy-mm-dd; First applicable date of offer. End Date – yyyy-mm-dd; Last applicable date of offer. Status – ‘New’ / ‘Updated’ / ‘Suspended’. It is the status of offer with respect to your last feed extract time. Country – The primary country the store belongs to. Rating – Internal rating of offer. This is a positive numeric value. Automatically pull Coupons into your WordPress Theme every hour. After your Trial period, which plan would you like to subscribe to? Your card will not be charged during Trial Period. However, you will still need to approve your subscription in PayPal for account setup.